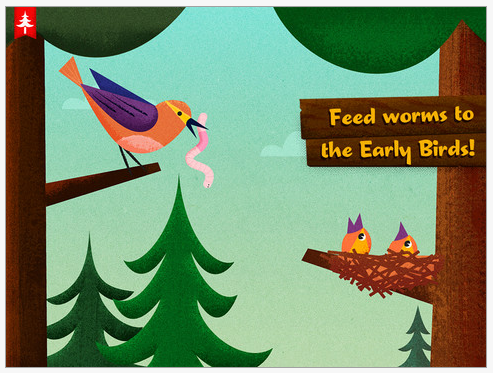 Here is an app gone free suggested for children ages 1-4 years, however many preschool children would enjoy this app! Kapu Forest HD is for iPad (regularly 2.99) however you can find a version for iPhone/iPod (1.99) and a lite versions. 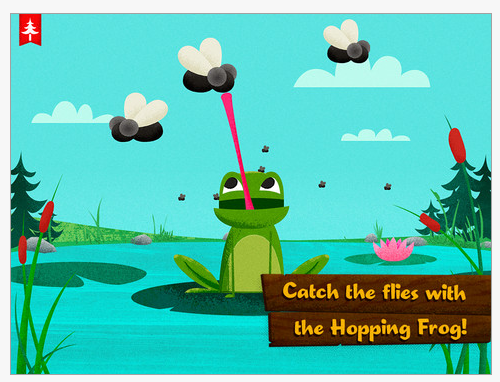 Kapu Forest app (free) is also available for Android. Geared to ages 1-4 years, it provides basic matching and sorting tasks, visual motor tasks involving interactive play on the iPad of feeding baby birds, catching bugs for frogs, making clouds rain, watering carrot plants and more. 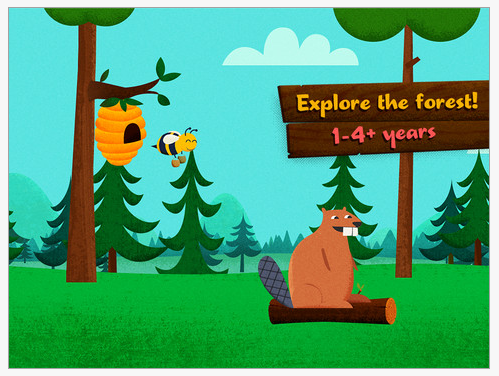 The app theme focuses on forest animals with good graphics suited to young children and is intuitive for children to explore and be successful interacting within the app. One setting provided in this app includes a control of the amount of time the app can be used.